Taknig H.Hemmelig’s statement to the limit, would they vote for Peter Sutcliffe or Kenneth Noyes? Greens? LoL… They have disappeared down their own biodigester since May 2015..
Isle of Wight East looks interesting for UKIP. Notional result is Con 38%, UKIP 21%, a Con majority of 5,668. An electoral pact between Labour & the Greens, each standing aside in one of the two seats to let the other have a clear run, would make a great deal of sense here. So it’s probably not going to happen. It’s arguable that electoral pacts deny supporters of the parties involved a chance to vote for their first choice party. As an Isle of Wight resident and someone who knows the area, I’m pretty sure that both seats will be Tory in 2020, especially as at least one of them will have a new MP. Isle of Wight West will be a safe Tory seat, it’s mostly rural and has a lot of older retired voters. Isle of Wight East would be closer, both UKIP councillors are in wards that make up this seat, but it’d still be a tall order for UKIP, unless Brexit is not delivered and a Europhile Tory is selected for that seat. The Greens could eventually contend on the Island, replacing the role the Lib Dems once had here, but I think they would have to build up a strong base on the council first. Maxim, LibDems won’t be standing aside for Greens anywhere in 2020. As is rather evident from council results (see yesterday in Cardiff Central) since May 2015, the Greens are losing votes largely to Corbynite Labour and back to the LibDems. They are getting blasted back to the Stone Age. I agree she’ll likely hold… but the loss of activists to Corbynism is going to be the bigger problem nationwide. Cllr Philip Jordan (Exec Member in charge of alcohol abuse prevention) has been convicted of drink driving. He was over 2 times the legal limit and was banned for 20 months and fined £370. Is this the election when Andrew Turner retires? It may actually help the conservatives chances of retaining the seat if he does? Re-selection meeting of Andrew Turner postponed until after the local election’s next Thursday to avoid confusion. I think the reason for the postponement has created more confusion. The truth in my eyes could be the face value statement or a delay to allow for a candidate who didn’t get selected in any of the other safe retirement seats to be parachuted in after he gets deselected or retires. As a side note I imagine the Tory Party here has a lot of elderly members if the original meeting was scheduled for 4pm on a weekday afternoon. In response to Paz, I think the Tories retain this even with Turner, due to the national situation and extent of split opposition locally. How many other seats in the country can it be said that four parties are in contention for second or fifth (UNS would suggest a tight contest for that dubious distinction, though in practise Green and UKIP are far better placed locally than Labour or LD). I’d imagine pushed. High command must have quickly realised that otherwise this was a bad news story that wouldn’t go away. What has the MP done that’s so odious? Read up the thread about Mr Turner’s “creative” approach to 2nd home expenses, among other issues. Today he said homosexuality was dangerous to society. Had he stayed on May would undoubtedly have ended up having to answer questions about whether that is an acceptable view. It seems surprising that Lib Dem strength on the island has declined so far. I would have thought that the Green Party will fall back and the Liberal Democrats advance compared to the 2015 general election. I’m surprised he’s managed to be an MP for 16 years without being outed for holding such views, tbh. Hmmm….an interesting way to end your political career. On the flip side, I expect with a new Conservative candidate in place the majority will go up! Andrew Turner wasn’t in the remotest danger of not retaining this seat if he had stood, I’m not sure what some people are on looking at the 2015 results? In the current climate he’d have edged towards 50% of the vote – just as his replacement probably will do, barring a collapse in Tory polling on a national level. The Chairman of the Cons Candidates’ List is of course gay (David Jones, Southport as mentioned on these pages previously re selections as we as that bizarre piece where he and other leading Anglo Catholic parishioners who liked a drink after the service were challenged by the Vicar for tis ‘drinking culture’ in Crosby and they managed to force the Minister out by threatening to stop paying £ to the Diocese). Money indeed talks it seems, even in the church.. The Tories locally have been wanting to get rid of their incompetent buffoon of an MP for some time; by accident or design Turner has just given them the perfect reason. Turner had one of the worst swings the Tories got anywhere in 2015 but was still re-elected by a massive margin, despite his poor reputation and the various scandals that surround him, as none of the opposition parties are competitive. Labour’s vote will fall away this time but I expect neither the Greens nor LibDems, nor the local independent councillor also standing, will emerge as clear challenger and therefore whoever stands for the Tories will be assured of an easy win. There is a strong argument for some sort of progressive alliance so that the Tories faced only one challenger here, but with so many parties involved I cannot see this happening. Amusingly I hear that the allegation was made by a 16-year-old girl and as such a non-voter. ConHome also refers to at least 3 Cons Associations who are at loggerheads with CCHQ over imposing candidates and wanting a local on the shortlist. These apparently include Bridgend and the Newport seats. There’s also reference as to false info imparted from CCHQ re whether MEPs are allowed to go for seats or not. There seems to have been some hyping of the Green Party’s prospects here, based on the fact that it is their best prospect of unseating a Tory based on the 2015 result. That tells you all you need to know about the threat the Greens pose to the Tories. The Greens seem to have been urging both Labour and Lib Dem to stand down here to help them. Even though the Lib Dems are yet to select a candidate, I would expect them to recapture second place. Think the LibDems have selected a candidate already. Given the IoW political history, it’s highly unlikely they’d stand down here. To elaborate on that Green hype, I’ve recently seen comments from Greens on both reddit and twitter that they had been actively preparing for a snap election here (unlike in most seats, apparently!) and they think they have a strong candidate with something of a headstart on public profile. I suspect Green HQ also see Vix Lowthion as a future star and are bigging up her seat for that reason. I’ll be interested to see how she goes, but my instinct is that 13% last time was a weird result and it would be an achievement to replicate that, let alone improve it. This just doesn’t seem like natural territory for the modern Green party and they are nowhere in locals. I agree with the above poster that the Greens will struggle to make more progress here. The Greens’ appeal to a younger demographic doesn’t sit happily with the Island’s significantly older than average electorate. Their best hope is that when the Island is split into two they can become the obvious challenger to the Tories in the western half. Really, this is a seat in which the Labour Party should have stood down, if they had an ounce of sense. The Tory selection will be between a businessman and regular Tory candidate (Great Yarmouth last time)(little Yarmouth this time? 😉 with some island connections, a Tory IOW councillor, and a parachute-in female Times journalist. Knowing the Island my money would be on the local councillor, and a safe Tory hold. After Turner the general view is that things can only get better. Is one half of the island significantly more Tory than the other? 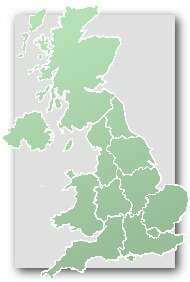 ie is it possible that one of the new seats could be a marginal, or will both be safe Tory seats? I don’t think they would have voted noticeablely different. I think West would have been slightly more Tory and slightly less UKIP than East while the Greens would have performed roughly the same in both. From what I’ve heard much of the opposition to this MP came from within his own Party on the Isle of Wight. I’d doubt they’d garner much support with the public though, as they include disgraced ex Council Leader Dave Pugh and a few other ex cllrs who lost their seats. Indeed their was a site and a blog dedicated to the toytown politics of the island for over 5 years until they got thrown out by the voters. I think Peppermint is right that any differences in voting profile would be small. I presume Cowes and Newport would go to the Western seat, meaning both seats would have a mix of rural and urban influence. In other news two of the three shortlisted conservative candidates have already withdrawn, leaving just the local councillor Bob Seely. He looks solid and so far as I can tell isn’t a Turner crony, so I think he’ll win handsomely. Fascinating contest behind him though – UKIP, Grn, Lab and Lib all have a base, but conditions aren’t ideal for any of them and I wonder if the Island Independents could even sneak in and make it a 5 way race for second. Very possible that six candidates regain their deposit, which I imagine is a rare occurrence anywhere. Nerd time. On the question of six candidates regaining their deposit, I can only find one example of this happening, Ceredigion in 2015 (the Greens finished sixth and last with 5.6%). On the balance of probabilities I suspect this isn’t the only historical instance, but I doubt it’s at all common. Others that came close in 2015: here in IOW Stephens came sixth with 4.5%; A number of large rural seats in Devon and Cornwall saw 5 parties keep theirs, often comfortably; in St Austell only 4 got their money back, but Greens and MK both passed 4%; In Dwyfor Meirionnydd, a safe Plaid seat, again only 4 got their deposit back, but seven candidates managed a respectable 3.4% or better. This happens relatively frequently in Northern Ireland though. In Strangford, seven candidates saved their deposits. The Greens do seem to think the western seat will be their better bet, with the LibDems more likely to challenge in the east. Insofar as there is a difference in population, the retired population tends to be concentrated along the north and east coast, with the working population more inland and in Newport. The Commission’s draft proposal divides these areas precisely. Well, the Greens did win a councillor, in their western stronghold of… Ryde East?? I want to do some analysis of the council results here to figure out what is going on, but it’s a nightmare. There are so many wards, only the Tories are standing in all of them, and the Island Independents take a huge slice of the votes much of which will presumably go elsewhere in the general. Nonetheless, my at-a-glance impression is that the Greens have pulled a larger share of the vote than either Lib Dem or Labour. The percentage figures are what each party achieved *in the seats they contested*, I hope my calculations are correct. UKIP only fetched 973 and the Independents cleaned up over 12,000 votes, no idea where those will go in the general. Well, apparently there is some substance to the Green hype here, although I’m still surprised. In fact the local results for Greens in general have been interesting and quite revealing: they have gained a lot here and in rural towns (Weymouth, Frome, Stroud) but lost ground to Labour in urban seats (Norwich, Oxford, Bristol). Overall I think that is a bad thing, since the only seats they can realistically win are urban. The Independents have mopped up a lot of the votes at Council level that used to go to the LibDems. Indeed if you dig into the background of many of the Independent councillors and candidates you’ll find they have a LibDem background. Which is not, of course, to say that these votes will head back to the LibDems anytime soon, particularly as one of the Indys is putting herself up for the GE. The problem for the Greens is that the ceiling on their potential vote on the Island is well short of the level which could possibly win. And their candidate isn’t particularly strong; energetic and apparently well liked by the Greens themselves, but inexperienced and comes across as petty and shallow in many of her exchanges with voters. The LibDems could win one day in theory but never today in practice. Neither Greens nor Labour can ever win even in theory. And the 2015 GE suggests that an Independent councillor cannot get enough traction or build an organisation to get into contention island-wide. Therefore this looks like a safe Tory seat, until such time as the LibDems can ever get their act together. If one assumes that the Green party will pick up all the Libdem voters last time, and most of the Labour voters, that’s about 30%. With the Tories on 40% last time, let’s say there is 25% up for grabs (20% UKIP, 5% Independent). I could see us picking up a good portion of those indy votes, and there are always going to be a few UKIPPERS (with no idea what the parties actually stand for) who could be won over by a “not the other lot” argument. I still think it’s difficult to see better than 50% tory vs 40% Green, but you never know. I hope the candidate is pushing against the “Dementia Tax”. There are an awful lot of elderly, tory homeowners on the Isle of Wight. It could happen!! Lol no it couldn’t. I would be extremely surprised if the Greens got over 20%. Oh, I admit it’s a long shot, but this is a good opportunity to build for the Greens. Also, since I wrote that, The Dementia Tax has unraveled further, with the cracks very much showing in May’s “Strong and stable” veneer. If people actually start to notice what a pathetic lightweight she really is, then the campaign has crashed and burnt. Seems to me the Greens are going to crash and burn as well though (along with all the other also rans….LD, PC, UKIP). The Corbyngasm is gobbling you up and we seem to be back to the kind of 2 party politics (outside Scotland) not seen since 1970. H.HEMMELIG – You’re mostly right, and I expect a lot of lost deposits. But the 3 seats that could buck that trend are here, Brighton Pavilion and Bristol West. Also, I don’t want to ramp too much on this seat- I think the most likely result is Green 2nd, with 25-30%. That would be a very encouraging result in the largest seat in the country.